ABOUT THE BRAND PERFORMANCE CHECK Fair Wear Foundation believes that improving conditions for apparel factory workers requires change at many levels. Traditional efforts to improve conditions focus primarily on the factory. FWF, however, believes that the management decisions of clothing brands have an enormous influence for good or ill on factory conditions. FWF’s Brand Performance Check is a tool to evaluate and report on the activities of FWF’s affiliate members. The Checks examine how affiliate management systems support FWF’s Code of Labour Practices. They evaluate the parts of affiliate supply chains where clothing is assembled. This is the most labour intensive part of garment supply chains, and where brands can have the most influence over working conditions. In most apparel supply chains, clothing brands do not own factories, and most factories work for many different brands. This means that in most cases FWF affiliates have influence, but not direct control, over working conditions. As a result, the Brand Performance Checks focus primarily on verifying the efforts of affiliates. Outcomes at the factory level are assessed via audits and complaint reports, however the complexity of the supply chains means that even the best efforts of FWF affiliates cannot guarantee results. Even if outcomes at the factory level cannot be guaranteed, the importance of good management practices by affiliates cannot be understated. Even one concerned customer at a factory can have significant positive impacts on a range of issues like health and safety conditions or freedom of association. And if one customer at a factory can demonstrate that improvements are possible, other customers no longer have an excuse not to act. The development and sharing of these types of best practices has long been a core part of FWF’s work. The Brand Performance Check system is designed to accommodate the range of structures and strengths that different companies have, and reflects the different ways that brands can support better working conditions. This report is based on interviews with affiliate employees who play important roles in the management of supply chains, and a variety of documentation sources, financial records, supplier data. The findings from the Brand Performance Check are summarized and published at www.fairwear.org. The online Brand Performance Check Guide provides more information about the indicators. BASIC REQUIREMENTS Workplan and projected production location data for upcoming year have been submitted? Actual production location data for evaluation period was submitted? Membership fee has been paid? All suppliers have been notified of FWF membership? Summary: Deuter meets most of FWF's management system requirements and goes beyond several of them. Deuter has 97% of its supply chain under monitoring, meeting the 90+% threshold required for members after their third year of membership. Deuter has stable, long-term relationships with all its suppliers as well as significant leverage, which allows them to work effectively on improving working conditions. While continuous efforts are still needed, the company has strong systems in place to prevent and remediate excessive overtime. During Deuter's last financial year, all three Vietnamese main production locations participated in FWF's Workplace Education Programme. FWF encourages Deuter to continue efforts to ensure constructive worker-management dialogue at all production locations. Deuter also participated in a research project in Vietnam by the Global Living Wage Coalition. Based on the results, which will be available in 2017, Deuter is encouraged to implement steps to increase wage levels. PERFORMANCE CATEGORY OVERVIEW Leader: This category is for affiliates who are doing exceptionally well, and are operating at an advanced level. Leaders show best practices in complex areas such as living wages and freedom of association. Good: It is FWF’s belief that affiliates who are making a serious effort to implement the Code of Labour Practices—the vast majority of FWF affiliates—are ‘doing good’ and deserve to be recognized as such. They are also doing more than the average clothing company, and have allowed their internal processes to be examined and publicly reported on by an independent NGO. The majority of affiliates will receive a ‘Good’ rating. Needs Improvement: Affiliates are most likely to find themselves in this category when major unexpected problems have arisen, or if they are unable or unwilling to seriously work towards CoLP implementation. Affiliates may be in this category for one year only after which they should either move up to Good, or will be moved to suspended. Suspended: Affiliates who either fail to meet one of the Basic Requirements, have had major internal changes which means membership must be put on hold for a maximum of one year, or have been in Needs Improvement for more than one year. Affiliates may remain in this category for one year maximum, after which termination proceedings will come into force. Categories are calculated based on a combination of benchmarking score and the percentage of own production under monitoring. The specific requirements for each category are outlined in the Brand Performance Check Guide. Affiliates with less than 10% of a factoriesâ&#x20AC;&#x2122; production capacity generally have limited influence on factory managers to make changes. Supplier information provided by affiliate. Stable business relationships support most aspects of the Code of Labour Practices, and give factories a reason to invest in improving working conditions. Signed CoLPs are on file. Comment: Deuter has been working with its current supplier for backpacks since 1994 and with its sleeping bag supplier since 2003. The sleeping bag supplier opened a new production site in Myanmar in 2015 and is producing a portion of Deuter's production there. 1.3 All new suppliers are required to sign and return the Code of Labour Practices before first orders are placed. The CoLP is the foundation of all work between factories and brands, and the first step in developing a commitment to improvements. Comment: Deuter did not add new suppliers during its last financial year. However, their Vietnamese supplier works with different subcontractors. To ensure a proper monitoring process, Deuter receives a list of all planned subcontractors per season by the supplier and later on a list of all subcontractors that were used. The supplier visits all subcontractors, ensures that the FWF Code of Labour Practices is signed before production starts and the Worker Information Sheet is posted. Deuter monitors this process during visits and has visited many of the subcontracting sites themselves. 1.4 Company conducts human rights due diligence at all new suppliers before placing orders. Due diligence helps to identify, prevent and mitigate potential human rights problems at new suppliers. Documentation may include pre-audits, existing audits, other types of risk assessments. Documentation of systemic approach: rating systems, checklists, databases, etc. Documentation of robust planning systems. Recommendation: FWF encourages Deuter to continue its efforts to limit the number of subcontractors to allow effective monitoring and improvement of working conditions. Comment: As described under indicator 1.3, Deuter's backpack supplier uses different subcontractors and Deuter has agreed on a monitoring process with them. Most of the subcontractors used are small production locations that have never been audited before by any social compliance organisation. Deuter is aware of additional risks and is continuously discussing opportunities to reduce subcontracting and focus on a set of fixed subcontractors. 1.5 Supplier compliance with Code of Labour Practices is evaluated in a systematic manner. A systemic approach is required to integrate social compliance into normal business processes, and supports good decisionmaking. Comment: Deuter continously evaluates the status of CoLP implementation at its suppliers and actively supports them to improve. Given Deuter's small and stable supplier base, it is difficult for the company to reward one production location with higher order volumes, but long-term commitments are given. 1.6 The affiliateâ&#x20AC;&#x2122;s production planning systems support reasonable working hours. Strong, integrated systems in place. Affiliate production planning systems can have a significant impact on the levels of excessive overtime at factories. Comment: Deuter has a strong production planning system in place that supports reasonable working hours. The key challenge is to distribute orders evenly throughout the year to avoid extreme peak and low seasons. Suppliers receive long-term forecasts and orders are placed with long lead times. This allows the supplier to plan their production more evenly and in close cooperation with Deuter. A newly built larger warehouse at Deuter's German headquarter as well as warehouse space in Asia allow storage of products, which further reduces the pressure on suppliers. 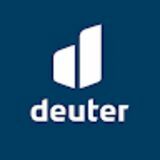 Deuter has also implemented financial incentives for import partners, which coordinate sales outside of Germany, that place early orders. 1.7 Degree to which affiliate mitigates root causes of excessive overtime. Some production delays are outside of the control of affiliates; however there are a number of steps that can be taken to address production delays without resorting to excessive overtime. Documentation of root cause analysis and positive steps taken to manage production delays or improve factory processes. Formal systems to calculate labour costs on per-product or country/city level. Comment: For its three main production sites in Vietnam, Deuter has made significant progress in reducing overtime hours. FWF audits in 2015 confirmed that excessive overtime hours had already been reduced compared to previous audits and a complaint. According to Deuter, overtime hours have been further reduced since than. The Vietnamese supplier accounts for more than 90% of Deuter's production (FOB). During Deuter's last financial year, FWF audited the production site in Myanmar. The audit team found that some workers were occasionally working on Sundays without receiving an alternative day off. This was not reflected in production records. Deuter has addressed this with the supplier and received confirmation that this practice will be stopped in the future. Deuter will request regular updates on overtime hours. 1.8 Affiliateâ&#x20AC;&#x2122;s pricing policy allows for payment of at least the legal minimum wages in production countries. The first step towards ensuring the payment of minimum wages - and towards implementation of living wages - is to know the labour costs of garments. Recommendation: FWF recommends Deuter to find a way to verify their labour cost estimates for their sleeping bag supplier. Comment: Deuter has a detailed understanding of how prices of its Vietnamese supplier are comprised and how labour costs account to the overall price. This information as well as current minimum wages and other benchmarks are taken into account when negotiating prices. For its Chinese and Myanmar production sites, Deuter does not have the same level of insights, but is taking FWF wage lader information into account. Generally, Deuter accepts higher prices due to wage increases. In case the supplier asks for a price which is too high for new product styles to be able to sell, Deuter Sport re-works the product e.g. (reduces trims) to reach a marketable price. 1.9 Affiliate actively responds if suppliers fail to pay legal minimum wages. If a supplier fails to pay minimum wage, FWF affiliates are expected to hold management of the supplier accountable for respecting local labour law. Complaint reports, CAPs, additional emails, FWF audit reports or other documents that show minimum wage issue is reported/resolved. 1.10 Evidence of late payments to suppliers by affiliate. Late payments to suppliers can have a negative impact on factories and their ability to pay workers on time. Most garment workers have minimal savings, and even a brief delay in payments can cause serious problems. Based on a complaint or audit report; review of factory and affiliate financial documents. 1.11 Degree to which affiliate assesses root causes of wages lower than living wages with suppliers and takes steps towards the implementation of living wages. Sustained progress towards living wages requires adjustments to affiliatesâ&#x20AC;&#x2122; policies. Documentation of policy assessments and/or concrete progress towards living wages. Recommendation: FWF encourages Deuter to implement steps to raise wage levels based on the research conducted in 2016. FWF also encourages Deuter to assess the hypothetical cost effects of increasing wages at its production sites in Myanmar and China towards benchmarks that are included in the wage ladder. To support companies in this process FWF has published guidance on its Living Wage Portal. Comment: Following previous analysis based on FWF's wage ladder, Deuter and its Vietnamese supplier participated in a research project by the Global Living Wage Coalition during Deuter's last financial year. The outcomes are expected to be published in 2017. Based on this Deuter will determine next steps to raise wage levels. Deuter has in the past agreed to price increases to cover higher wage costs and the use of more sustainable chemicals in production. As a consequence, Deuter increased sales prices for some product lines. 1.12 Affiliate sources from an FWF factory member. When possible, FWF encourages affiliates to source from FWF factory members. On account of the small number of factories this is a 'bonus' indicator. Extra points are possible, but the indicator will not negatively affect an affiliate's score. 1.13 Percentage of production volume from factories owned by the affiliate. Owning a supplier increases the accountability and reduces the risk of unexpected CoLP violations. Given these advantages, this is a bonus indicator. Extra points are possible, but the indicator will not negatively affect an affiliate's score. Comment: None of the production sites are owned by Deuter. However, Deuter's backpack supplier produces almost exclusively for Deuter for more than 20 years. FWF low risk policy should be implemented. 0 = policy is not implemented correctly. N/A = no production in low risk countries. Minimums: 1 year: 40%; 2 years 60%; 3 years+: 90% Measured as a percentage of turnover. Followup is a serious part of FWF membership, and cannot be successfully managed on an ad-hoc basis. Manuals, emails, etc., demonstrating who the designated staff person is. FWF considers efforts to resolve CAPs to be one of the most important things that affiliates can do towards improving working conditions. Documentation of remediation and followup actions taken by affiliate. Recommendation: FWF encourages Deuter to continue its effort to remediate more complex issues like a lack of constructive worker-management dialogue. Formal audits should be augmented by annual visits by affiliate staff or local representatives. They reinforce to factory managers that affiliates are serious about implementing the Code of Labour Practices. Affiliates should document all factory visits with at least the date and name of the visitor. Audit reports are on file; evidence of followup on prior CAPs. Reports of quality assessments. Comment: Deuter visited all production locations except for some subcontracting sites. These have been visited by the main supplier contracting the orders. 2.4 Existing audit reports from other sources are collected. Existing reports form a basis for understanding the issues and strengths of a supplier, and reduces duplicative work. 2 part indicator: FWF audit reports were shared and discussed with suppliers within two months of audit receipt AND a reasonable time frame was specified for resolving findings. Corrective Action Plans, emails; findings of followup audits; brand representative present during audit exit meeting, etc. 2.6 High risk issues specific to the affiliateâ&#x20AC;&#x2122;s supply chain are identified and addressed by the monitoring system. Different countries and products have different risks associated with them; monitoring systems should be adapated to allow appropriate human rights due diligence for the specific risks in each affiliates' supply chain. Documentation may take many forms; additional research, specific FWF project participation; extra monitoring activities, extra mitigation activities, etc. Comment: Deuter consults FWF's country studies as well as information of other stakeholders. The company has a thorough understanding of common risks for production in China, Myanmar and Vietnam Deuter's efforts to prevent and remedy excessive overtime are described under indicators 1.6 and 1.7. To stimulate dialogue between workers and management, all suppliers have participated or agreed to participate (in the case of the Myanmar factory) in FWF's Workplace Education Programme. For China, independent worker representation remains a challenge. Also, Deuter is aware of additional challenges at subcontractor sites and has started to actively include them in their monitoring system. In addition, Deuter is working on implementing safe chemical management at its suppliers. 2.6a High risk issues specific to Bangladesh are identified and adressed by the monitoring system and remediation activities. Affiliates sourcing in Bangladesh should take additional action to address both building and fire safety and the prevention of violence against women. Building, electrical and fire safety inspection reports, evidence of cooperation with other customers sourcing at the same factories (Accord signatories and/or FWF affiliates), etc. 2.6b High risk issues specific to Myanmar are identified and adressed by the monitoring system and remediation activities. Myanmar is still in the process of establishing the legal and civil society infrastructure needed to ensure compliance with labour rights. Extra care must be taken when doing business in Myanmar. Shared CAPs, Wage Ladders per factory. Shared CAPs, evidence of cooperation with other customers. Cooperation between customers increases leverage and chances of successful outcomes. Cooperation also reduces the changes of a factory having to conduct multiple Corrective Action Plans about the same issue with multiple customers. Low risk countries are determined by the presence and proper functioning of institutions which can guarantee compliance with basic standards. Documentation of visits, notification of suppliers of FWF membership; posting of worker information sheets, completed questionnaires. FWF believes it is important for affiliates that have a retail/wholesale arm to at least know if the brands they resell are members of FWF or a similar organisation, and in which countries those brands produce goods. FWF believes affiliates who resell products should be rewarded for choosing to stock external brands who also take their supply chain responsibilities seriously. External production data in FWF's information management system. Documentation of sales volumes of products made by FWF or FLA members. At this point, FWF considers a high number of complaints as a positive indicator, as it shows that workers are aware of and making use of the complaints system. The Worker Information Sheet is a key first step in alerting workers to their rights. Photos by company staff, audit reports, checklists from factory visits, etc. Comment: Deuter regularly checks whether the Code of Labour Practices (CoLP) including contact information of the local complaints handler of FWF is posted in factories in a location that is accessible to workers. The company collects photos of the posted document during visits of purchasing staff as evidence. 3.3 Percentage of FWF-audited factories where at least half of workers are aware of the FWF worker helpline. The FWF complaints procedure is a crucial element of verification. If factory-based complaint systems do not exist or do not work, the FWF worker helpline allows workers to ask questions about their rights and file complaints. Factory participation in the Workplace Education Programme also count towards this indicator. Percentage of audited factories where at least 50% of interviewed workers indicate awareness of the FWF complaints mechanism + percentage of factories in WEP programme. Providing access to remedy when problems arise is a key element of responsible supply chain management. Affiliate involvement is often essential to resolving issues. Documentation that affiliate has completed all required steps in the complaints handling process. No complaints or cooperation not possible / necessary. Because most factories supply several customers with products, involvement of other customers by the FWF affiliate can be critical in resolving a complaint at a supplier. Documentation of joint efforts, e.g. emails, sharing of complaint data, etc. Preventing and remediating problems often requires the involvement of many different departments; making all staff aware of FWF membership requirements helps to support cross-departmental collaboration when needed. Emails, trainings, presentation, newsletters, etc. Comment: All new staff members receive an introduction on FWF. Information about FWF and Deuter's CSR activities, like the social report, are shared regularly with staff. 4.2 Ongoing training in support of FWF requirements is provided to staff in direct contact with suppliers. Sourcing, purchasing and CSR staff at a minimum should possess the knowledge necessary to implement FWF requirements and advocate for change within their organisations. FWF Seminars or equivalent trainings provided; presentations, curricula, etc. Comment: Other staff in direct contact with suppliers is well aware of FWF membership requirements and is regularly briefed by CSR staff. 4.3 All sourcing contractors/agents are informed about FWFâ&#x20AC;&#x2122;s Code of Labour Practices. Agents have the potential to either support or disrupt CoLP implementation. It is the responsibility of affiliate to ensure agents actively support the implementation of the CoLP. Correspondence with agents, trainings for agents, FWF audit findings. Lack of knowledge and skills on best practices related to labour standards is acommon issue in factories. Good quality training of workers and managers is a key step towards sustainable improvements. Documentation of relevant trainings; participation in Workplace Education Programme. In areas where the Workplace Education Programme is not yet offered, affiliates may arrange trainings on their own or work with other training-partners. Trainings must meet FWF quality standards to receive credit for this indicator. Curricula, other documentation of training content, participation and outcomes. Comment: The production location in Myanmar did not participate in a WEP training during Deuter's last financial year, but has since registered for the training. This will be assessed in the 2017 Brand Performance Check of Deuter. Any improvements to supply chains require affiliates to first know all of their production locations. Supplier information provided by affiliate. Financial records of previous financial year. Documented efforts by affiliate to update supplier information from its monitoring activities. Internal information system; status CAPs, reports of meetings of purchasing/CSR; systematic way of storing information. CSR, purchasing and other staff who interact with suppliers need to be able to share information in order to establish a coherent and effective strategy for improvements. Comment: Staff involved in the production process exchanges regularly and aligns their actions to improve working conditions. FWF membership should be communicated in a clear and accurate manner. FWF guidelines are designed to prevent misleading claims. Logo is placed on website; other communications in line with policy. Affiliates may lose points if there is evidence that they did not comply with the communications policy. Good reporting by members helps to ensure the transparency of FWFâ&#x20AC;&#x2122;s work and shares best practices with the industry. Affiliate publishes one or more of the following on their website: Brand Performance Check, Audit Reports, Supplier List. Report adheres to FWF guidelines for Social Report content. The Social Report is an important tool for affiliates to transparently share their efforts with stakeholders. An annual evaluation involving top management ensures that FWF policies are integrated into the structure of the company. Meeting minutes, verbal reporting, Powerpoints, etc. In each Brand Performance Check report, FWF may include requirements for changes to management practices. Progress on achieving these requirements is an important part of FWF membership and its process approach. Affiliate should show documentation related to the specific requirements made in the previous Brand Performance Check. RECOMMENDATIONS TO FWF Deuter would like FWF to give clear recommendations about monitoring and remediation requirements for subcontractors. BRAND PERFORMANCE CHECK DETAILS Date of Brand Performance Check: 25-10-2016 Conducted by: Lisa Suess Interviews with: Katrin Bauer (CSR Manager) Marco Huehn (Quality Manager) Martin Riebel (CEO) Sebastian Schmidt (Supply Chain Manager) Audit Summary: Publication of the audit summary section previously included in Brand Performance Checks has been suspended while Fair Wear Foundation develops a new information system to manage and summarize the data.